And here&apos;s Rita Ora doing the same, with a pal. Bar Refaeli is into them, too. And here&apos;s the original early adopter, Demi Moore (from back when she was @MrsKutcher), wearing an SK-II mask (also the original in this sheet mask trend). So what&apos;s the deal with these things? Well, unlike regular face masks—which consist of goop in a jar that you apply to your face—these are closer to serums, actually. (Which is why they&apos;re more awesome.) The sheet itself is made of soft cotton or fibres, which is then soaked in a light but potent substance that&apos;s not nearly as creamy, oily or messy as the masks you&apos;re used to. It&apos;s usually clear or just slightly milky, kind of like a very spreadable, liquidy gel. The cloth is pre-cut so that it matches the contours of your face. Try not to think of Scream when you see this creepiness. There are holes for the eyes, nose and mouth, and flaps around the sides so that you can adjust it to fit you exactly. 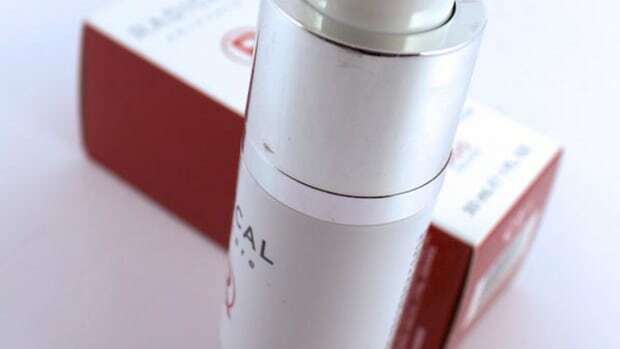 That means the serum can stay in contact with your skin for longer, therefore aiding absorption. Therefore aiding the benefits! You&apos;re meant to apply on clean skin and then leave it on for 10 to 20 minutes, although I&apos;ve done longer myself. It&apos;s best to lie down because the mask can slip off a bit if you&apos;re walking around upright, and you want it to be touching your face completely. Another thing: just lying down and resting in itself can make you look better! I&apos;ll never forget an interview I did a while back with Kristen Ma, co-founder of Toronto&apos;s Pure + Simple spas. She was talking about the benefits of facials and how it&apos;s really not just about the ingredients you apply. It&apos;s that we&apos;re all so used to rushing around, super-stressed, that just taking time for yourself to RELAX with a mask on for 20 minutes can make you look and feel a zillion times better. Simple, but true. You can always combine masks, too, as I mentioned in my PMM (Peel, Mask, Moisturize) article. If you want to get the maximum hydrating aspects of the sheet mask, do an exfoliating treatment first to remove dead skin cells that can impair absorption. You can also do a clay mask first and follow with the sheet mask. The other thing is that these sheet mask thingies are fantastic for travel, which is probably why celebs are all over them. Because they&apos;re made of cloth, and come in individual packets, you don&apos;t have to worry about them taking up much room or having to keep them in your checked luggage. I always, always, always bring one anytime I have to go on an airplane. That plane air is deadly for my complexion—it always ages me 100 years—so I make sure that I apply a sheet mask the night I arrive, and it works wonders. I&apos;ve also been known to scoop out the leftovers and leave them on overnight, or even use it as my moisturizer the next day. Don&apos;t let that goodness go to waste! Of course, the other obvious benefit is that these are so neat and tidy. You don&apos;t have to fish clumps of hardened mask out of your hair, or wash your hands after you apply them. Heck, you don&apos;t even have to rinse your face after you take the sheet off. SK-II Facial Treatment Mask, at Amazon.ca, Amazon.com, Bliss, Bloomingdale&apos;s, Cosme-De, Macy&apos;s, Nordstrom, Saks Fifth Avenue and Sephora. Like I said, it&apos;s the original and the best. These are soaked in Pitera, which is the signature SK-II ingredient. It was discovered when scientists in Japan noticed that the elderly workers at a sake brewery had extraordinarily youthful-looking hands—from immersing them in the sake fermentation liquid. Pitera is derived from that! They actually recommend that brides use these for 90 days prior to the wedding. Pricey, but it&apos;d probably do incredible things. Garnier Skin Renew Dark Spot Treatment Mask, at ULTA Beauty, Walmart.ca and Well.ca. This is the newest one and the most affordable (we&apos;re talking about approximately $3 per sheet). I don&apos;t know about it actually doing all that much to eradicate dark spots, but you get the same temporary moisturizing and brightening benefits. Shu Uemura Depsea Hydrability Intense Moisture Filling Mask, at Amazon.com. These are the ones Kelly Brook used, and are like calling in the big guns to get moisture. I think the company may be repackaging or reformulating them, as they&apos;re not currently available on Shu&apos;s Canadian website. Snap &apos;em up while you still can on Amazon! MaskerAide Pre Party Prep, at Amazon.com and MaskerAide.com. How cute is this?! This is a Canadian company and they sell their sheet masks individually, so you can buy them on an as-needed basis. The pre-party prep one is my fave because that&apos;s what I use it for. There are a few other new ones I haven&apos;t had a chance to try yet... this first one sounds particularly awesome. When Essence Mask Makeup Base, at Sephora. Well, it better be awesome for the price ($35!). 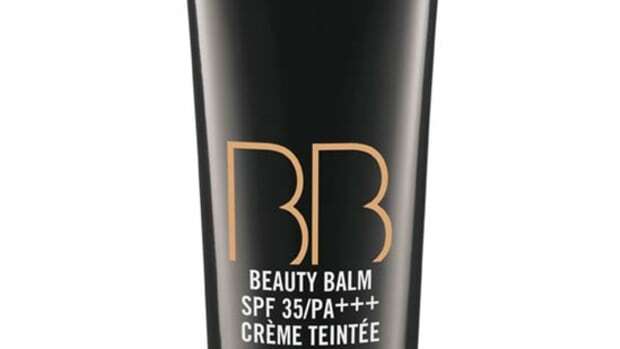 It&apos;s meant for special occasions when you need your skin to be perfectly prepped before makeup. The sheet is made of fermented coconut juice and contains a high volume of liquid, including collagen, glycerin and hyaluronic acid. Jurlique Purely Bright Facial Treatment Mask, at Amazon.com, Beauty.com, Sephora and SkinStore. This is a new one from Jurlique that would be a good choice for the more natural-minded. It has a high dose of vitamin C and is formulated without parabens, sulfates and phthalates. 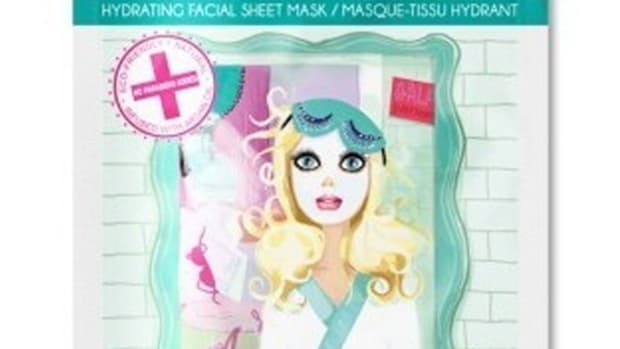 Masque Bar by Look Beauty Brightening Sheet Mask, at Target. Have you tried any of these ones yet, or do you have another favourite? What else do you do before a special occasion to get your skin glowing?